Oh No! Did you miss the Brazil Supper Club at Hipcooks? Are you Green with Envy? 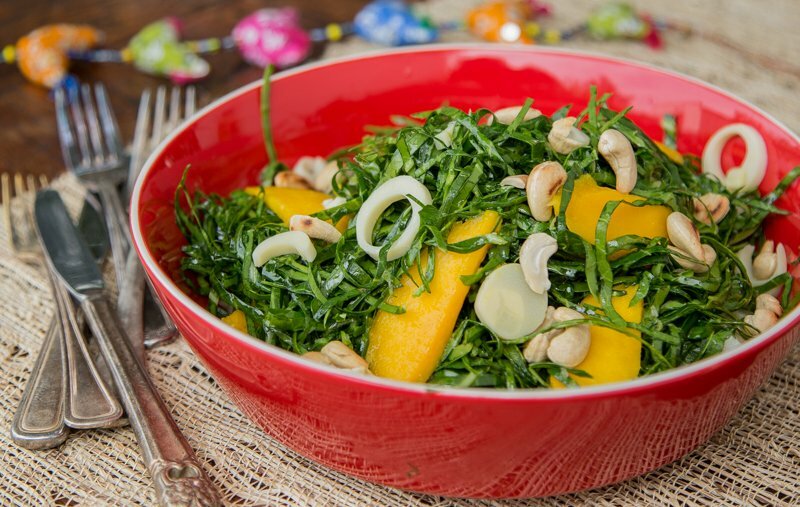 Here’s the recipe for the lindo maravilhoso salad we made in class, so you can get a little greener! In a salad bowl, season the collard greens with Maldon salt, olive oil, and some fresh lemon juice. Massage greens a bit, this tenderizes the leaves and makes the green pop! Top with hearts of palm, mango, and cashews. Simple and oh-so-healthy! Don’t miss our next Supper Club: Persian New Year! We Give the Green light to our next Global Supper Club: Persian New Year and the 1001 Nights. Sign up for Woodland Hills here!